If you need financing for your special use building, contact us today! Special use buildings are coined for commercial buildings with special (specific) uses, such as medical offices, dental offices, churches, etc. that cannot be transferable between tenants because they are designed for a specific type of office. 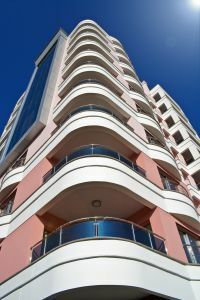 Since 1977, Ocean Pacific Capital has assisted its clients to acquire the best special use building financing, designed for their specific needs. We offer loan amounts starting from $500,000 to $100 million plus at competitive rates. We work with real estate developers and investors to ensure that funding is acquired in a cost-efficient and timely manner because we understand the importance of meeting deadlines on projects. Whether you are looking for financing for a 5 suite 1 story building or a 50 floor office tower, we can help you obtain the special use building financing you need. Email us or call us today to speak to one of our commercial loan specialists.